Arr at Indore transfer to hotel. & fresh up Stay at Indore Dep from Maheshwar mandu Sightseeing Jahaz Mahal, Hindola Mahal Stay at Indore. Morning Proceed to Omkareshwar darshan Stay at Omkareshwar. Morning Proceed to Ujjain Mahakaleshwar Temple, Shipra River , Gopal Temple Stay at Indore. Morning Proceed to Bhopal Laxmi naryan Temple, Moti masjid , Shaukat Mahal Stay at Bhopal. Morning Proceed Bhopal Railway Station / Airport Drop. One of the greatest cities of ancient India, Ujjain’s links with its glorious past have endured into the present day, making it a city still renowned for its traditions of spirituality, learning and culture. 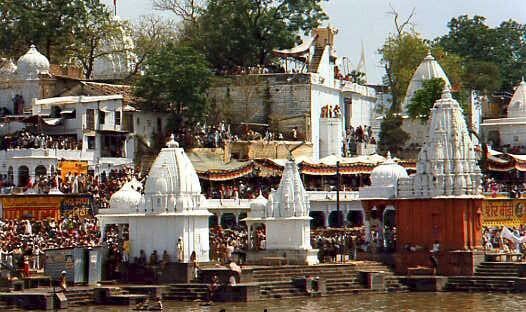 Situated on the banks of the river Shipra, Ujjain is one of the venues of the Kumbh Mela held every twelve years. Air : The nearest airport is Indore (53 Km.). Rail : Ujjain is connected by rail with important cities/towns. Road : Motorable roads connect Ujjain with Ahmedabad 402 Km. Bhopal 183 Km., Delhi 774 Km., Dewas 37 Kms., Dhar 117 Kms., Gwalior 451 Km., Indore 53 Km., Khandwa Khajuraho 570 Km., Maksi 39 Kms., and Mumbai 655 Km. Bade Ganeshji Ka Mandir, Bhartrihari Caves, Chintaman Ganesh, Durgadas Ki Chhatri, Chardwar, Gadkalika, Gopal Mandir, Harsiddhi Temple, Kal Bhairava, Kaliadeh Palace, Kalidas Academy, Mahakaleshwar, Mangalnath, Navagraha Mandir (Triveni), Pir Matsyendranath, Sandipani Ashram, Siddhavat, Veda Shala (Observatory), Vikram Kirti Mandir, Vikram University. Devas (37 Km. ): Famous for its hill-top temple of Devi Chamunda. Maksi (39 Km. ): Famous for Jain Temples. Nagda (60 Km. ): An industrial town with ancient temples. Agar (66 Km. ): An ancient archaeological site. Sailana (126 Km. ): Famous for its cactus garden with over 1,200 species of cactii, perhaps the biggest collection in Asia. Mandsaur (154 Km. ): Famous for the Ashtamukhi Pashupatinath Temple. The picturesque city of Bhopal, the capital of Madhya Pradesh, is set around a lake and is famous for its archaeological wealth. 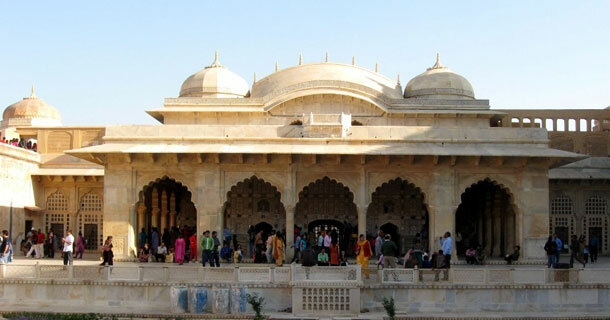 It is situated on the site of the 11th century city of Bhojapal, named after Raja Bhoj. The founder of the existing city was, however, an Afghan soldier, Dost Mohammed. 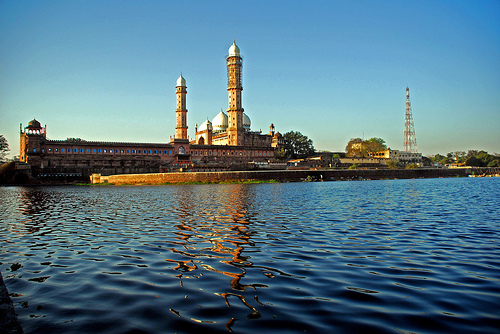 Bhopal today presents a multi-faceted profile - the old city with its teeming market places and fine old palaces and mosques and equally impressive, the new city with it’s verdant, exquisitely laid out parks and gardens, broad avenues and streamlined modern edifices. Air: Bhopal is connected with Delhi, Gwalior, Jabalpur, Mumbai and Raipur. The Airport at Bhopal is about 12 km from downtown area. Rail: Bhopal on the main Central Railway line, is connected by rail with major cities. Road: Motorable roads connect Bhopal with Agra 523 Km, Ahmedabad 571 Km, Aurangabad 588 Km, Dhar 234Km, Delhi 728 Km, Gwalior 422 Km, Indore 187 Km, Jabalpur 334 Km, Kanha 480Km, Khajuraho 387 Km, Maheshwar 277Km, Mandu 290 Km, Mumbai 789 Km, Orchha 457Km,Pachmarhi 195 Km, Pipariya 141 Km, Sanchi 46 Km, Ujjain 189 Km. Bharat Bhawan: Designed by the renowned architect, Charles Correa, it is a unique centre for the visual and performing arts. It houses Roopankar, a museum of tribal and folk art, an art gallery, a workshop for fine art, a repertory theatre, library, auditoria and a rehearsal room. Chowk: In the heart of the old city, the chowk is lined with old mosques and havelis. Gandhi Bhavan: Housed here is an exhibition of Mahatma Gandhi’s photographs and a Gandhi museum. Gohar Mahal: An architectural gem built by Kudasia Begum and a fusion of Hindu and Mughal architecture.Jama Masjid: Gold spikes crown the minarets of this beautiful mosque, built by Kudasia Begum. 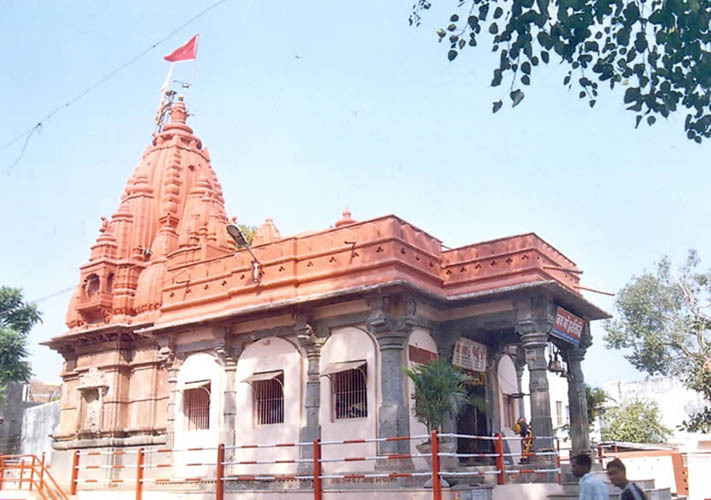 Laxmi Narayan Temple: This beautiful temple on the Arera hills has the Birla Museum attached to it, which houses a collection of sculptures from the Raisen, Sehore, Mandsaur and Shahdol districts of Madhya Pradesh. The Museum is open from 0900-1700 hrs on all days except Mondays. Moti Masjid: Architecturally akin to Delhi’s Jama Masjid. Neori: An ancient Shiva temple on a hillock. Shamla and Idgah Hills: These hills command some of the best views of Bhopal. High on Shamla hills is the Sophia Masjid. Shaukat Mahal & Sadar Manzil: Situated in the heart of the city, Shaukat Mahal was designed by a Frenchman. Post-renaissance and gothic styles are combined to charming effect here. Nearby is the elegant Sadar Manzil, Hall of Public Audience of the former rulers of Bhopal. Taj-ul-Masjid: One of the largest mosques in Asia, built by Shahjahan Begum. Tribal Habitat: An open-air exhibition of tribal house types located on Shyamla Hills. Timings: 1000 hrs to 1800 hrs. (Closed on Mondays and National Holidays). 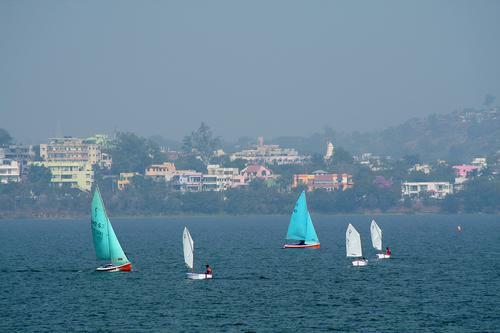 Upper and Lower Lakes: MPSTDC’s Yatch Club on the Upper Lake provides facilities for paddle, sail and motor boats. The Upper Lake is divided from the Lower Lake by anoverbridge. Van Vihar: This Safari park is located on a hill adjacent to the Upper Lake with an area of 445 hectares. A variety of herbivorous and carnivorous species can be seen here in natural surroundings. Timings: 0700-1900 hrs. (01 Oct-31 March). Closed on Fridays. Hathaikhera (10 Km): An ideal fishing and angling spot. Islamnagar (11 Km): It was the palace of the Afghan rulers in Bhopal that was built by Dost Mohammed Khan. Formal gardens surround the Palace and Pavilion. Other monuments to see here are the Hamam of the Chaman Mahal and the double storeyed Rani Mahal. Bhojpur (28 Km): Founded by the legendary Parmar King, Raja Bhoj, Bhojpur is renowned for the remains of the magnificent Bhojeshwar Temple dedicated to Lord Shiva. The lingam in the sanctum rises to a height of 7.5 feet with a circumference of 17.8 feet. The temple was never completed, but had it been completed it would have had very few rivals. Even with the ravages of time, it is still one of the best examples of temple architecture of the 12th and 13th centuries. Close to the Bhojeshwar Temple, there is a Jain shrine containing 2 figures of Parsvanath and a colossal statue of Mahavira, 20 feet high. Chiklod (45 Km): Chiklod was a summer resort of the former ruler, Nawab Hamidulla Khan. A lake and a beautiful garden here are ideal picnic spots. Raisen (45 Km): Once a fortress of strategic importance in Malwa, Raisen at the top of a hill has nine gateways and three palaces - Badal Mahal, Raja Rohati Ka Mahal and Isrardar Ka Mahal. Bhimbetka (46 Km): World Heritage Site Surrounded by the northern fringe of the Vindhyan ranges, Bhimbetka is an archaeological treasure. In this rocky terrain of dense forest and craggy cliffs, there are over 700 rock shelters belonging to the neolithic age. Paintings in over 500 caves depict the life of prehistoric cave dwellers. Executed mainly in red and white with the occasional use of green and yellow, these paintings usually depict hunting, dancing, music, animal fighting and household scenes. Animals such as bisons, tigers, lions, wild boar, elephants, antelopes, dogs, lizard, etc. have been abundantly depicted in some caves. Best season is July to March. Vidisha (56 Km): Vidisha or Besnagar as it is called in the Pali scriptures, was once the prosperous capital of the Sungas. Situated in the fork of the Betwa and Bes rivers, Vidisha was an important trade centre and a bustling city under the Nagas, Satvahanas and Guptas. Places of interest at Vidisha include the ruins of a Brahmanical shrine - dedicated to Lord Vishnu, the first known example of the use of cement in India and the Vidisha Museum which has a collection of the area’s earliest antiquities, sculptures and terracotta objects. The Gumbaz-Ka-Maqbara and Bijamandal Mosque standing on the foundations of a temple are also worth visiting. Close to these ruins is the Heliodorus Pillar (Khambha Baba), a monolithic freestanding column with an inscription stating that it was a Garuda Pillar, raised in honour of Vasudeva by Heliodorus, a Greek resident of Taxila. The contents of the inscription, dates the pillar back to 140 B.C. Situated on the banks of the Rivers Saraswati and Khan, Indore was planned and founded by Rani Ahilyabai Holkar and derives its name from the 18th C. Indreshwar Temple. 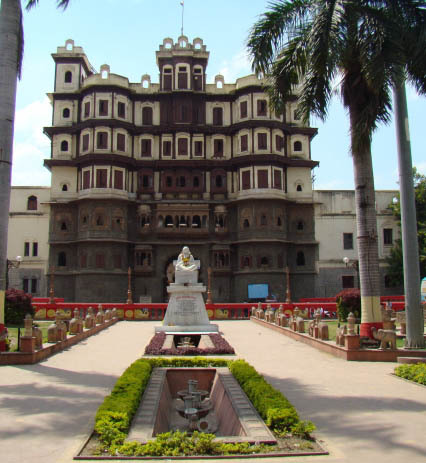 Indore, today, presents a happy blend of a historical past and a modern flourishing industrial city. Air : Indore is linked by air directly with Mumbai, Delhi, Bhopal and Gwalior. Rail : Indore, on the Western Railway is linked by rail with major cities in India. Mumbai: 602 Km., Omkareshwar 78 Km., Ujjain 53 Km. Chhatris :The Maratha Rulers were skilled in the field of architecture. These chhattris are the cenotaphs built in the memory of the Holkar rulers. The memorials are built in stone and have stood the test of time. Lalbaug Palace and Museum :Lal Baag Palace is a three storey building on the bank of the River Khan. The palace was built by Maharaja Shivaji Rao Holkar during 1886-1921. The museum near RTO Office, Tel: 2473264. Timings: 1000 hrs. to 1700 hrs. Kanch Mandir (Timings: 1000 to 1700 hrs )The Kanch Mandir, as the name suggests, is a temple which is entirely made up of glass and mirrors. It is also known as the Seth Hukamchand Temple, as it was built by the "Cotton King" Sir Hukamchand Seth in the early 20th century. It is primarily a Jain temple and is a wonder in glass. Rajwada :Rajwada is the historical palace of the Holkars. It was built about two centuries ago and is located near the Chhatris in the main square. It is a seven storied structure, which serves as the living example of the grandeur of the Holkars. Rajwada stands in the centre of the city. Nehru Park. The park has a variety of roses and offers facilities like library, swimming pool, children"s hobby centre, a mini train and battery operated cars . Town (Gandhi) Hall. The Town Hall or Mahatma Gandhi Hall is built in 1904. It has a remarkable Indo-Gothic structure and is made in Seoni stone. 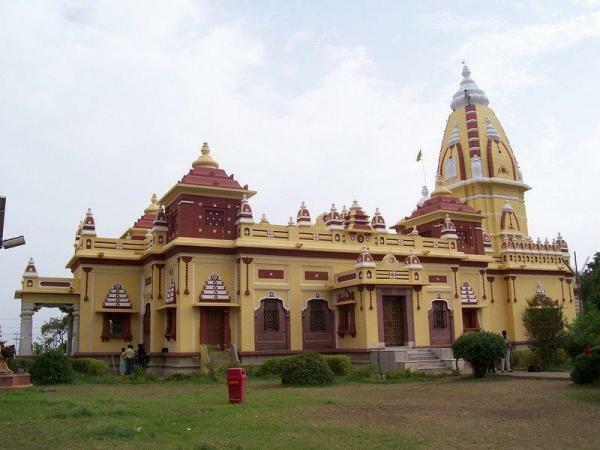 Its splendid domes and steeples are the landmark of the Indore city. It has a clock tower in front and is popularly known as Ghanta Ghar. The central hall can accommodate 2000 people at a time and is the venue of book, painting exhibitions and fairs throughout the year. Mhow (23 Km. ): (Military Headquarters Of War). It was the War Management Centre of the British during the World War. Presently, it is one of the military training establishments. Dewas (36 Km. ): The name is derived from a hill in the vicinity known as Devi-Vashini on which is perched a temple of its presiding deity Devi Chamunda. Patal Pani (36 Km.) : A popular picnic spot, famous for its scenic waterfall. Dhar (64 Km. ): The capital of the Parmar Kings among whom Raja Bhoj was the most prominent. In the monuments here one can see the combination of Hindu, Afghan and Mughal architecture. Omkareshwar (78 Km. 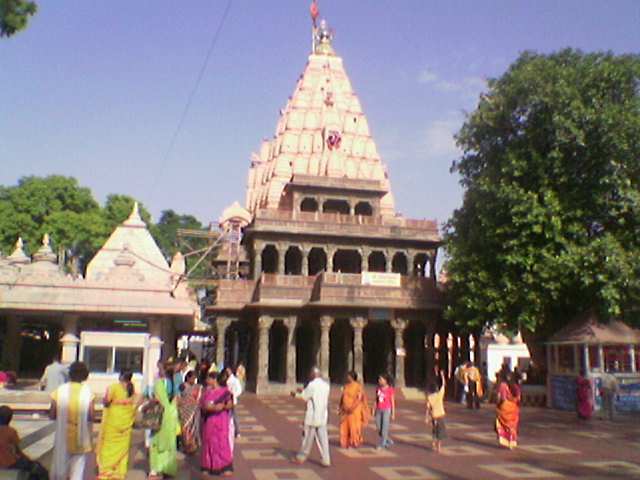 ): Shri Omkar Mandhata Temple here, is one of the 12 Jyotirlingas. 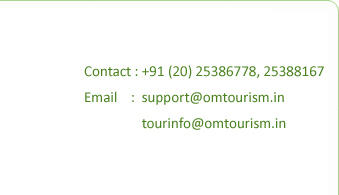 The nearest airport to Omkareshwar is Indore (78 Km.) and the nearest railhead is Omkareshwar Road which is on the Indore- Akola (via Khandwa) Meter Gauge section. However the convenient railheads are Khandwa (71 Km.) and Indore (78 Km.). 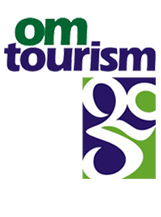 Omkareshwar is connected by good motorable roads with Barwah 18 Km. Dhamnod 75Km. Dhar 136 Km. Indore 78 Km. Khandwa 71 Km. Maheshwar 52 km. Mandleshwar 57 Km., Mandu 120 Km., Ratlam 222 Km. Ujjain 131 Km. Maheshwar (90 Km. ): This temple town on the banks of the river Narmada finds mention in the epics Ramayana and Mahabharata. It was revived to it’s ancient position of importance by the Holkar queen, Rani Ahilyabai of Indore. Maheshwari saris are renowned throughout India for their unique weave. Places of interest in Maheshwar include, Holkar Palace (Ahilya Fort), Rajrajeshwar Temple, Ahileshwar Temple, Ahilya Ghat, Pandrinath Temple, Baneshwar Temple in the midst of the river Narmada, REHWA - Handloom Weaver’s Society (Maheshwari Sarees). The nearest airport / railhead is Indore (90 Km). Maheshwar is connected by good motorable roads with Dhar 74 Km., Indore 90 Km., Khandwa 112 Km., Omkareshwar 62 Km. Ratlam 159 Km., and Ujjain 143 Km. MP State Roadways Corpn. operates regular bus services from Sarvote Bus Stand, Indore to Maheshwar.